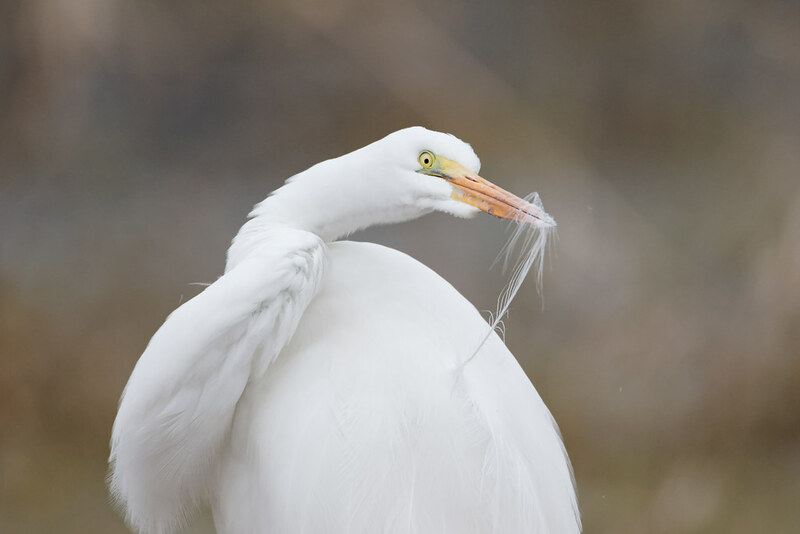 I love watching how various animals clean themselves, like this great egret cleaning its feathers by running them through its long beak. 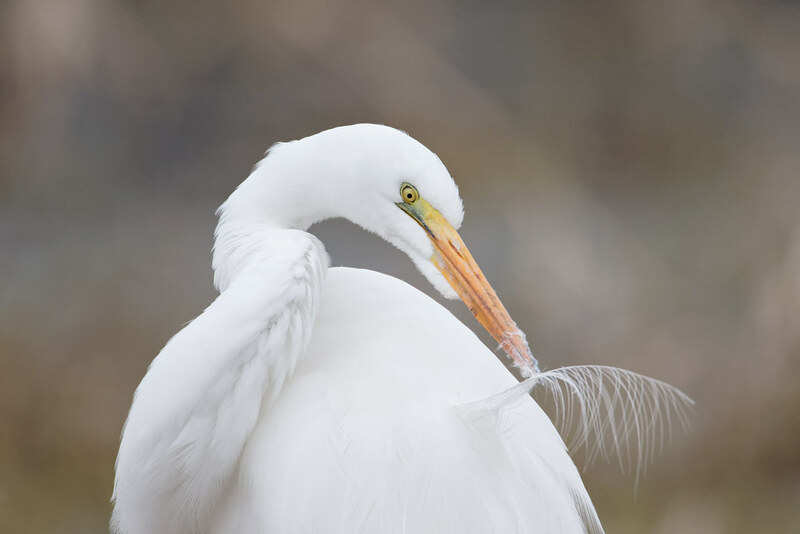 One sign an egret has recently been preening is the downy feathers that get stuck to the tip of its beak. 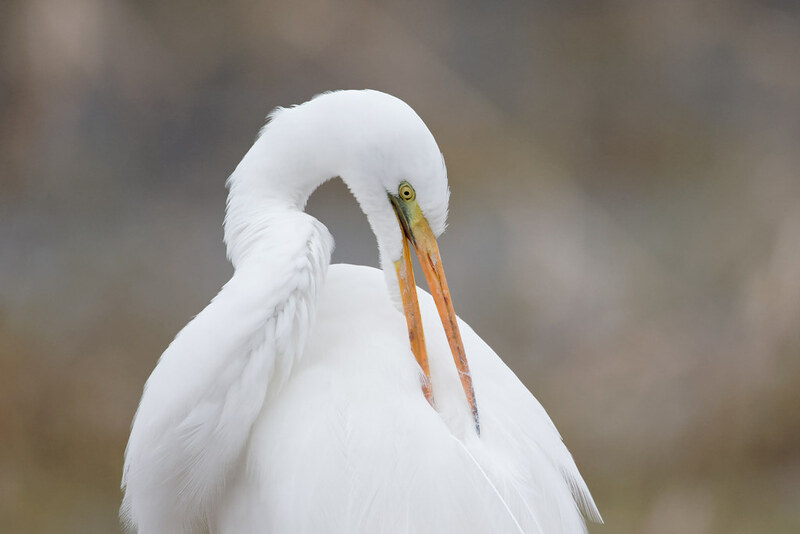 This entry was posted in Birds and tagged auto tour, Bull Lake, great egret, preening, Ridgefield National Wildlife Refuge, River S Unit, Washington. Bookmark the permalink.